The First Lady of the American Theatre also won two Academy Awards for her performances on film -- the first for THE SIN OF MADELON CLAUDET (1931) and the second for her supporting role in AIRPORT (1970). She is also the first performer to win the Entertainment Triple Crown, collecting two Tony awards, a Grammy and an Emmy in addition to her Oscars. If you don't remember her singing, rest assured, she won her 1976 Grammy award for Best Spoken Word Recording (as narrator on a recording called "Great American Documents"). Helen Hayes : a bio-bibliography by Donn B. Murphy and Stephen Moore (Westport, CT: Greenwood Press, 1993). My life in three acts by Helen Hayes with Katherine Hatch (San Diego : Harcourt Brace Jovanovich, c1990). Loving life by Helen Hayes with Marion Glasserow Gladney (Garden City, N.Y. : Doubleday, 1987). Helen Hayes, first lady of the American theater by Kenneth Barrow (Garden City, N.Y. : Doubleday, 1985). Our best years by Helen Hayes with Marion Glasserow Gladney (Garden City, N.Y. : Doubleday, 1984). Twice over lightly; New York then and now by Helen Hayes and Anita Loos (New York: Harcourt Brace Jovanovich, 1972). 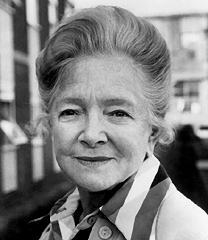 On reflection; an autobiography by Helen Hayes with Sandford Dody (New York, M. Evans; distributed by Lippincott, Philadelphia, 1968). A gift of joy by Helen Hayes with Lewis Funke (New York, M. Evans; distributed by Lippincott, Philadelphia, 1965). Star on her forehead by Helen Hayes and Mary Kennedy (New York: Dodd, Mead, 1949). TVNow's monthly Helen Hayes schedule -when her films will be on TV.